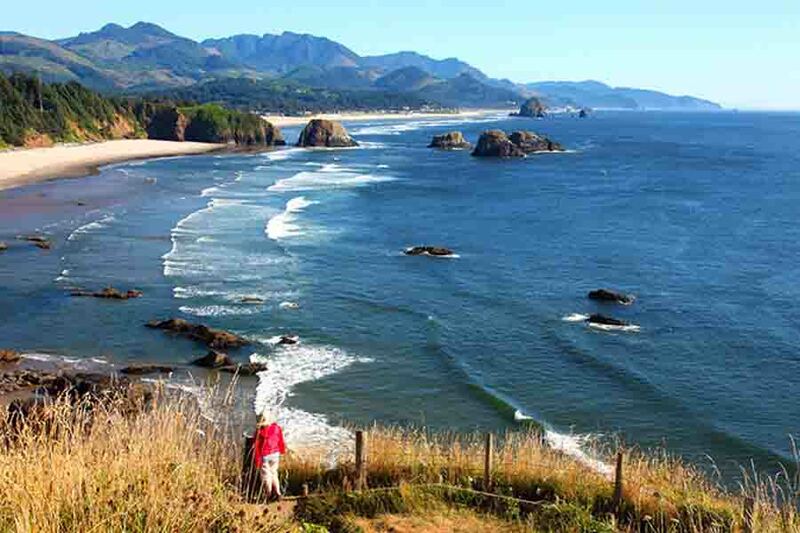 Cannon Beach is in the middle of some of the most scenic hiking trails in the Northwest! Ecola State Park offers an adventure through lush rain-forest, where hikers will find some of the world’s tallest trees. Hike past old-growth Sitka Spruce to the end of Cape Falcon where you’ll take in the most breathtaking views. Many of the best hikes can be found just minutes away in Ecola State Park, accessed via Ecola Park Road at the north end of Cannon Beach. The Park offers options for easy, paved accessible trails from the Ecola Point viewpoint to options for longer multiple mile hikes. An Oregon State Parks pass, Oregon Pacific Coast Passport or $5 day-use fee is required for parking. Neahkahnie Mountain and the more challenging Saddle Mountain. Walk through wildflower-covered meadows, miles o f uninterrupted beaches, or connect with a portion of the 382-mile Oregon Coast Trail. You’ll find everything from moderate to challenging hiking trails and accessible pathways suitable for all ages and abilities. Oswald West State Park, located about 10 minutes south of Cannon Beach, offers several interconnected hiking trails with many options for hikers of all levels including a 13-mile section of the Oregon Coast Trail. Necarney Creek to Elk Flats: From the smaller parking area just south of the main Oswald West parking lot, the Necarney Creek Trail descends into the rain-forest and connects to the Elk Flats Trail south, offering about a 1.5 mile walk through forests, emerging at meadows frequented by elk and eventually leading to a short spur trail to sheer cliffs overlooking Devil’s Cauldron. Tillamook Head Trail: From the trail-head at Indian Beach, hikers can follow the route taken by a party of explorers from the Lewis and Clark expedition in 1806. This segment of the Oregon Coast Trail leads from Indian Beach about six miles to the northern trail-head in south Seaside. Clatsop Loop Trail: This three-mile loop trail from Indian Beach begins along a gravel service road, passes through rain-forest and finally emerges at a small hikers’ camp where a nearby viewpoint overlooks the Tillamook Rock Lighthouse. 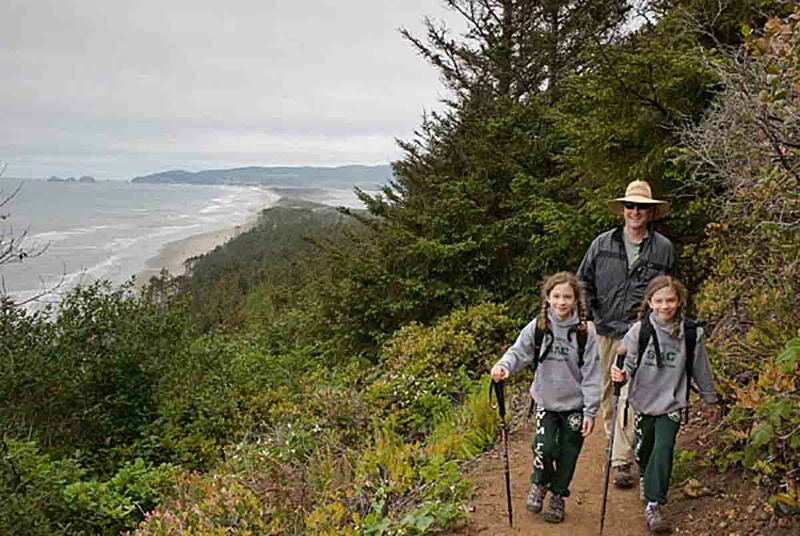 Hikers can then return to Indian Beach via a portion of the Oregon Coast Trail. Cape Falcon Trail: A 2.3-mile hike leads from the trail head parking area on the west side of Highway 101, through coastal rain-forest to the end of Cape Falcon. The trail emerges from the forest at the end of the cape through hedges of salal and wild roses, offering views north to Tillamook Head and south to Cape Lookout. Accordin g to a recent online article in The Huffington Post, Cannon Beach tops the list of the 10 Beaches That Are Better in the Off Season. Key reasons cited are smaller crowds, empty swaths of sandy beaches and lower lodging rates in September and beyond. 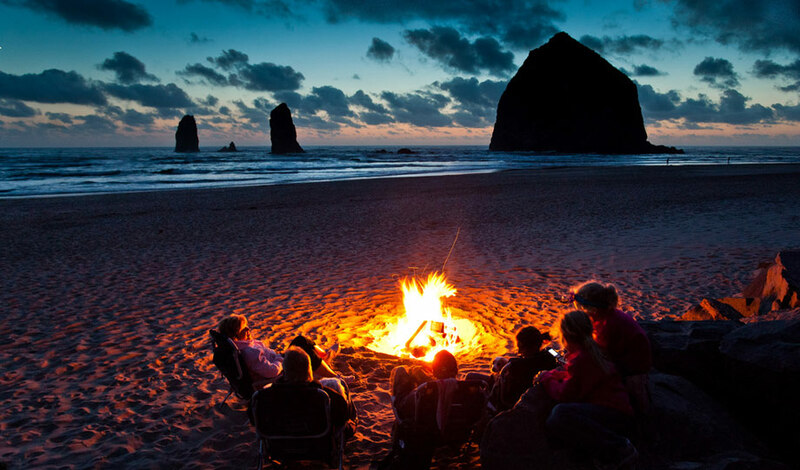 Specifically, the article points out how Cannon Beach visitors can cozy up into the evening with a twilight bonfire and a fine bottle of wine to watch some of the year’s most incredible sunsets. 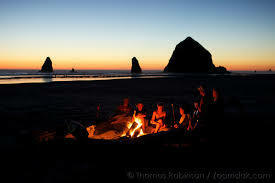 Unlike other beaches, there is no rule against alcohol on the Oregon coastline. Exploring the tide pools at Haystack Rock was also highlighted. And, it goes on to point out that the wildlife really comes out when the crowds disperse, with lots of bird watching along the shore and at neighboring Ecola State Park where visitors can watch for elk and migrating grey whales offshore. Storm chasers are advised that that fall and winter’s unpredictable weather that can bring crashing waves, best enjoyed from an oceanfront hotel. Fortunately, Tolovana Inn’s ocean front rooms and suites are perfect for that. Other notable beaches highlighted in the article include Moshup Beach, Massachusetts, near Martha’s Vineyard, Kennebunk Beach, in Maine, Sunset Beach, North Carolina and Pfeiffer Beach, California’s Highway 1, near Big Sur. Rounding out the list are Shi Shi Beach, in the Olympic National Park, WA; Mackinac Island, Michigan; Cove Beach, New Jersey and Malaquite Beach, Texas on the Gulf of Mexico.